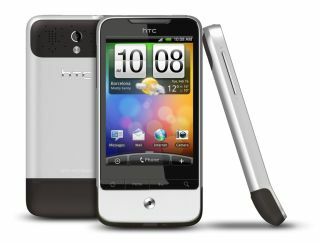 HTC has announced that it is issuing a European rollout of Android 2.2 to HTC Legend handets this week. As of tomorrow (9 December), all contract-free HTC Legend phones will be updated to the rather swanky 2.2 OS. HTC announced the news on its Facebook page, explaining: "Good news for HTC Legend users. The Android 2.2 update for HTC Legend will begin to roll out across Europe from tomorrow. We're looking forward to hearing your feedback." Some HTC Legend users already have Android 2.2. Vodafone issued its OTA update earlier this month and Orange followed suit. Android 2.2 will also be coming to the HTC Wildfire but there is no date specified for this to happen. HTC had said before the end of the year for both handsets and it has so far kept half of its promise. On the feedback of the Facebook post, HTC replied to users who were requesting the HTC Wildfire Android 2.2 update that it was "coming soon".